South Korean electronics giant Samsung says it plans to spend $1.2 billion over the next four years on U.S.-based Internet of Things (IoT) R&D and investments. 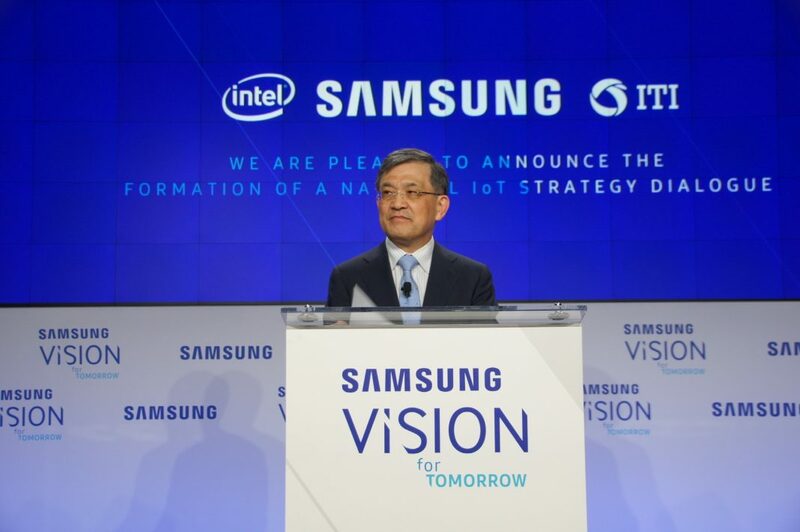 The announcement was made by vice chairman and CEO of Samsung Electronics, Dr. Oh-Hyun Kwon, at the Internet of Things: Transforming the Future forum organized by Samsung in Washington. In his keynote, Dr. Kwon asked the industry and policymakers to be open and collaborative, on top of taking a ‘human-centered’ approach to IoT. “If we want innovators everywhere to make use of IoT, we must make sure all tools are open to them. This means technologies that connect to each other, because we know that boundaries around technologies hold back innovation and scale,” he said. Sector-specific regulations would inherently fragment the development of IoT, impeding devices and platforms from connecting to each other, added Dr. Kwon. The event was part of Vision for Tomorrow, Samsung’s recently launched public affairs platform for cross-sector collaboration around issues affecting the policy dialogue in the U.S. and around the world.